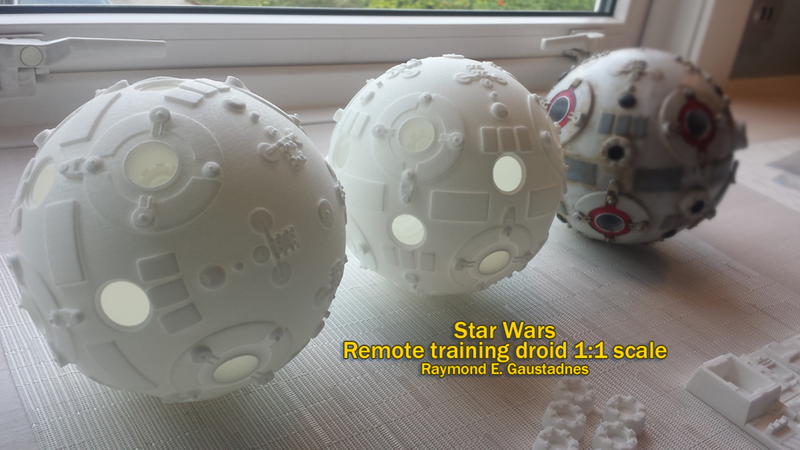 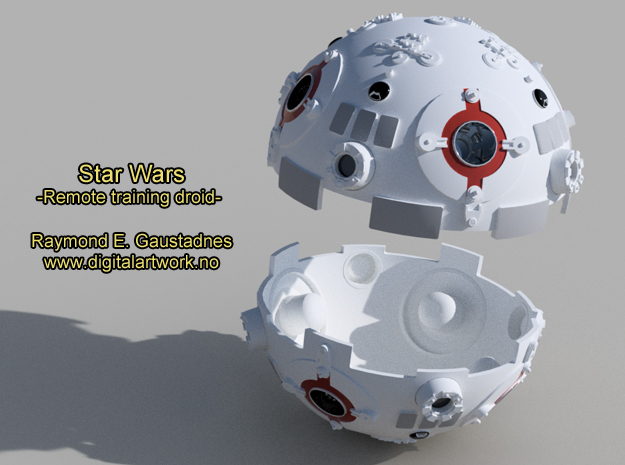 I made a 3D model of the Jedi Remote Training Droid last year, uploaded it to my Shapeways account so that other people have the chance to get their own 3D printed polished versions off of it as well. 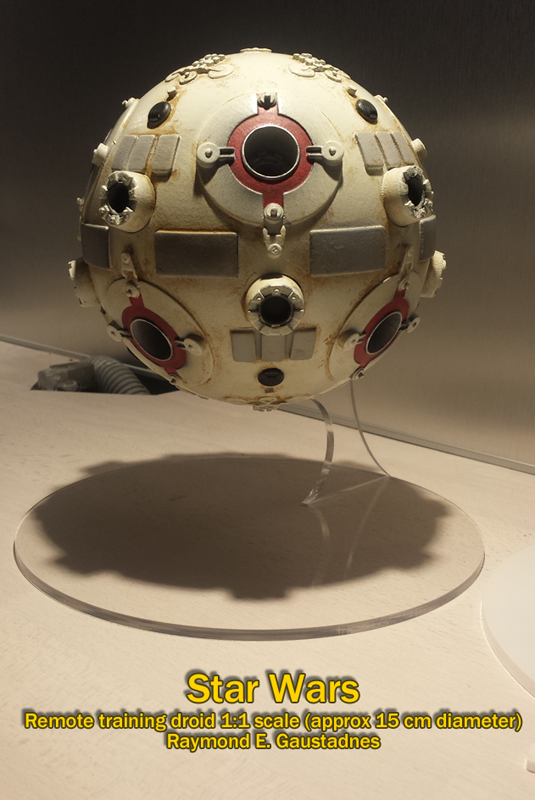 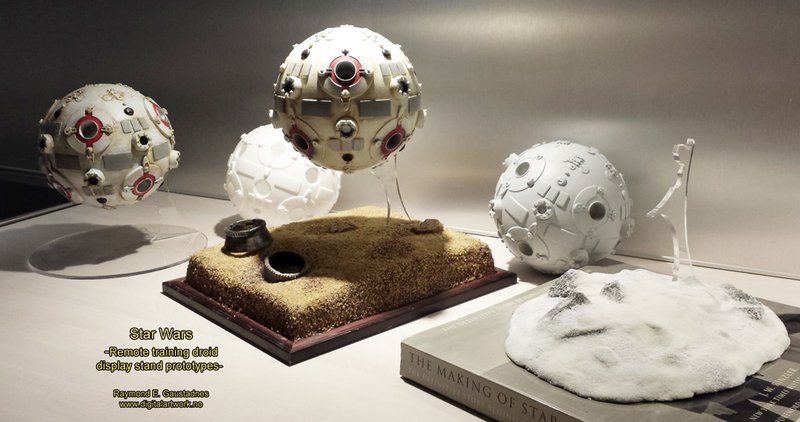 There are two versions available, one where the sphere comes as two halves (allows you to put electronic parts inside of it, and a version that comes as a complete sphere. 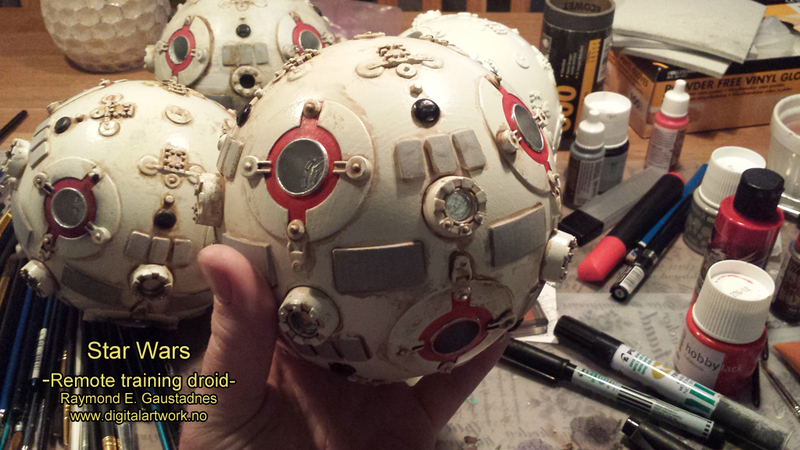 Both versions need the 8 "mini towers" to be attached to it with glue. 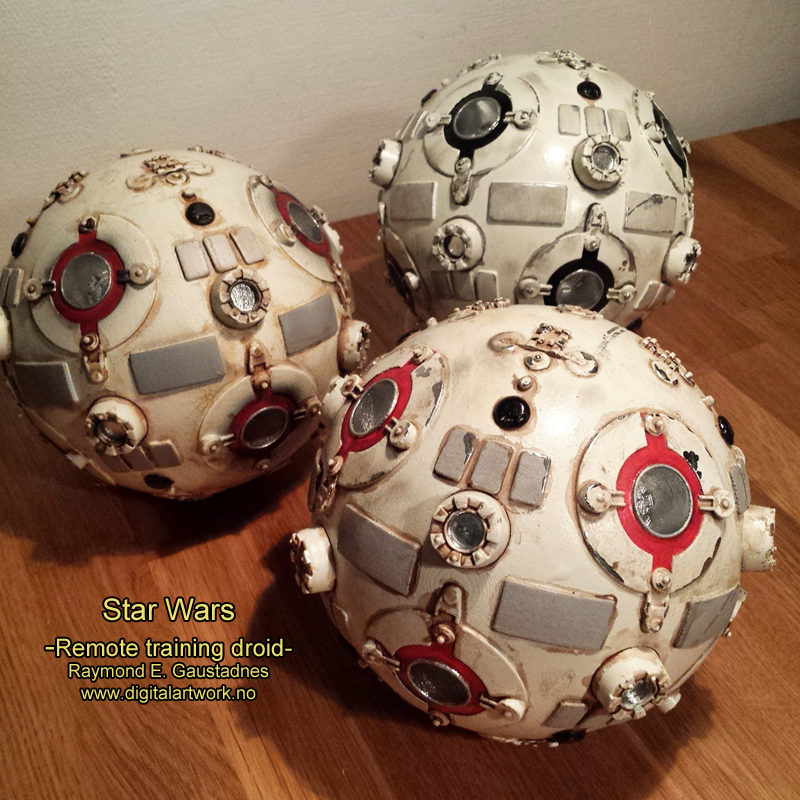 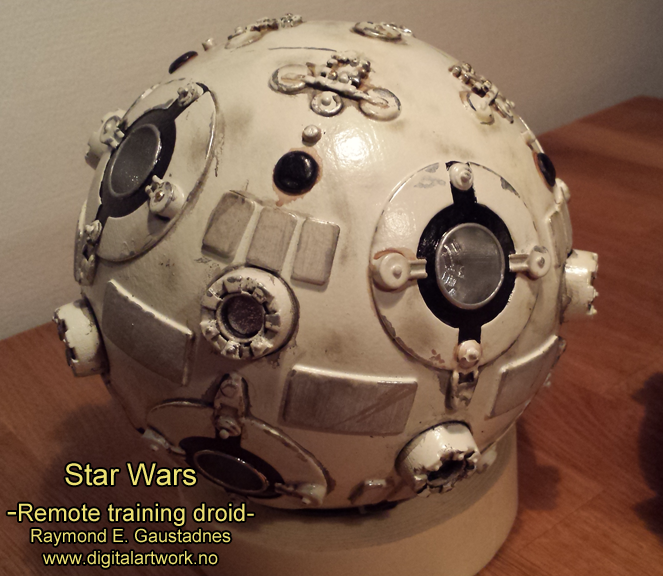 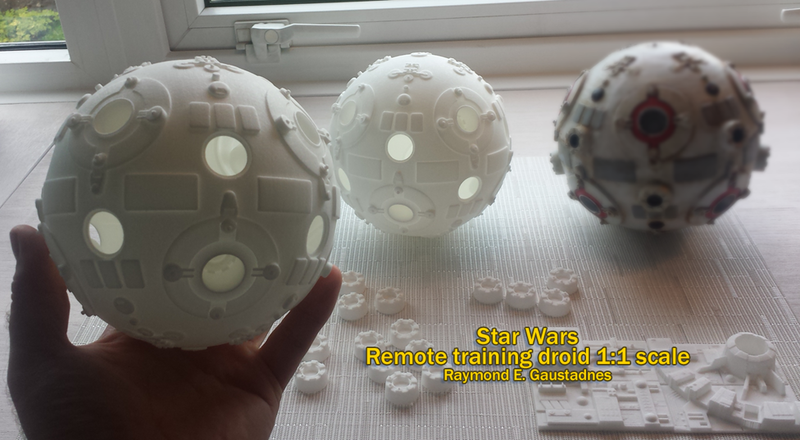 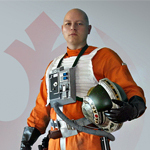 The assembled droid is approx 15 cm in diameter.